The Toughest, Most Versatile Housing Available. With our recessed cavity design, the sonde is secured into the body of the housing and locked in place. Rubber o-rings minimize vibration and protect the beacon inside the cavity. Our patented smaller cavity opening can withstand the heavy torque and flex loads that are generated when using rock bits. While others use a hollowed-out design, Radius rock housings have a solid ?” door ? the thickest in the industry. 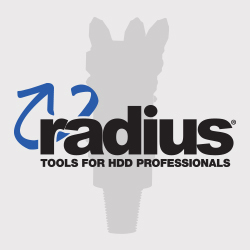 Radius housings are the only side-loads to accept all electronics including Digitrak® 15” sonde and 19” deep sonde, Subsite® 86” series beacons as well as wire-line systems and high-flow models. Non-magnetic housings are also available for geo-navigation systems.